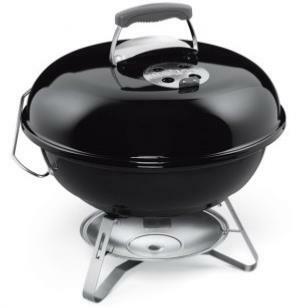 The best portable charcoal barbecue available made by Weber. 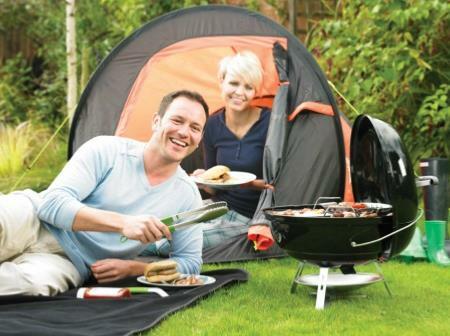 A portable BBQ with a super cooking grill area of 47cm diameter. So is excellent for camping picnics and patio BBQ's. Cook for up to 8 people at a time in the garden or on the beach. Lid holder locks the lid for carrying and lowers to double as a lid holder. 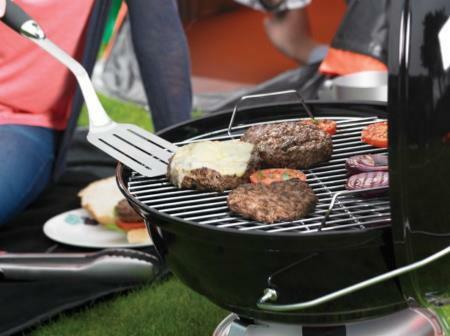 Rust-proof aluminium lid and bowl vents provide the proper air flow for perfect barbecuing. Removable aluminium ash catcher also acts as a heat shield to protect surfaces.